Integrating meaningful interactive features into your site is a good way to excite your visitors, motivate them to return and simply make your website sparkle. Would you like to increase the interactivity and impact of your website? Contact us now. We'll put your website to work for you! Our website design and development team understands your site is your online identity and most often the first interaction your customers will have with your brand. We are about far more than designing pretty pictures —from coding to developing easily navigable content, our experienced UX developers build designs that launch and support company-wide digital ecosystems where virtually every single department, every consumer channel is touched by and sharing your messages. Our Website Design Process creates online products— engineered to perform. We always optimize our sites to be correctly displayed throughout all browsers and platforms. Whether its Android, iOS, Windows or Blackberry— we have you covered. Need 3rd Party Integrations on your website? No problem. We’ll integrate the platforms for you. Anything from social, Google maps, paypal, lead capture, etc. Content comes first—we build each web element with the purpose to enhance and then refine content. Ensuring your online customers find what they need quickly. 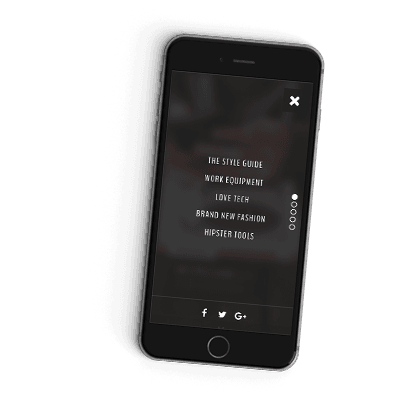 We create only the most intuitive interface, considering context and audience we create tailored experiences that are enjoyable and memorable. A pretty website just isn’t enough. One of the first things we define is what the behaviors and needs are of the consumers we are designing for. This clarification initiates a process of discovery, design and further discovery. Let’s simplify this a bit —we design for your target audience, right down to the colors we choose. For instance, an older audience prefers larger fonts, simple graphics and ease-of-use. Your audience is different and your website’s experience should always focus on the user. Test how well your site performs on mobile devices with Google's diagnostic tool. You are not a number, YOU are our Partner. Ready to begin your website design voyage with us?